PenPals - Email me for them!!!! 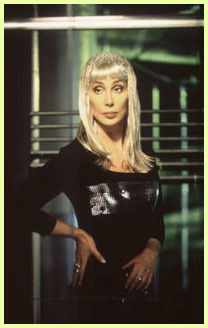 Joing the ORIGINAL Cher mailing list! Thank you for visiting my Cher page! Please come back and visit again! I know there is a lot to be done to make this sight better, so please email me with what you would like to see on here! THANKS FOREVER TO MY BEST CHER FRIEND IN THE WHOLE WORLD ASHLEE WHOM I COULDN'T HAVE MADE THIS SITE WHAT IT IS WITHOUT! I LOVE YOU GIRL! What is your name? Where are you from? E-mail address? This The Cher Webring site owned by Holly Bates. > This The Cher Web Ring site owned by Holly Bates.